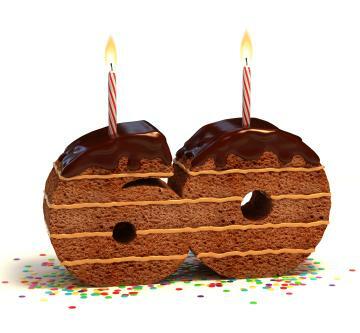 A 60th birthday is another one of those milestone ages people reach with some mixed emotion. Approaching 60 with humor can make the day a little bit easier, and even more fun. 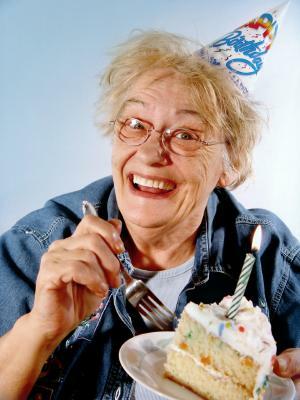 After all, 60th birthday jokes are a recipe for an instant smile, which is beneficial at any age. Now, get ready to take your sexagenarian humor game to the next level. Your carefully saved nest egg has flown the coop. You start getting carded again, but now cashiers want to see your senior card to make sure you're old enough to qualify for the discount. Instead of adding blueberries to your cornflakes, you just sprinkle them with your morning medications. Your joints snap, crackle and pop more than your Rice Krispies. Your ankles start sagging over the top of your anklets. Your liver spots are starting to make you look like a Dalmatian. Your gums have receded so far that you look like you could be the oldest cast member of Twilight. You save a ton of money on shampoo, not because of your senior discount, but because you now have too little hair to bother with it. You no longer need a spoon to stir the creamer in your coffee. You just pour the milk in and let your shaky hand do the job. You go from wearing bifocals to wearing trifocals. The 20-year-old clerk at the DMV thinks you're joking when you say you are there to renew your driver's license. Your brand new lighter runs out of fluid before you can light all five-dozen candles on your cake. Trying to remember what you wanted to wish for leaves the candles burning on your cake long enough to set off the smoke detector. There are so many medication bottles in your bathroom cabinet that you no longer have room for cosmetics and toothpaste. You finally have to admit that your "character lines" are really just wrinkles. You start wondering who that old woman/man is looking in your window and realize you're standing in front of the mirror. You remember back to when you used to need a booster seat at restaurants, and realize that now you could use one to see over the dash on your car. You used to make fun of adult diaper commercials, and now you're clipping coupons for them "just in case." You look back fondly at your 40th birthday and laugh at all the trauma you felt about getting so old. Most people can take some good-natured ribbing about their age as long as you don't over do it. One or two jokes are usually enough to elicit a few laughs. Telling too many jokes might wind up getting laughs at the birthday boy or girl's expense, and that's definitely not what you want to happen. Just remember that you can always share more jokes if the guest of honor really enjoys them and wants to hear more.